Acrylic is a durable, semi-opaque material used in the construction of many showers. The shower doors themselves come into contact with fingerprints, soap scum and other elements that make the shower feel and look unclean. 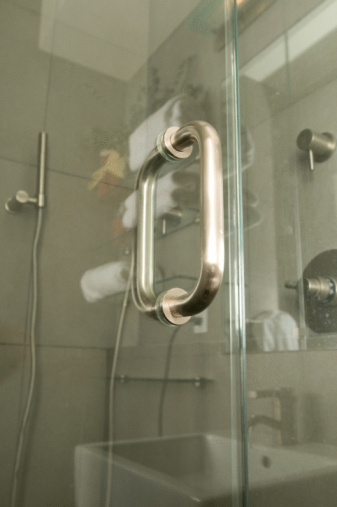 To clean the shower doors, make your own homemade cleaner from inexpensive elements found throughout the home. Clean your acrylic shower doors with dish soap. Pour 2 cups water, 1/2 cup vinegar and 1 squirt dish soap into a spray bottle. The dish soap cuts through soap scum and residue, while the vinegar disinfects and kills mildew growth. Spray the solution onto the acrylic doors. Scrub the solution into the doors with a nylon scrubber, using large, circular motions. 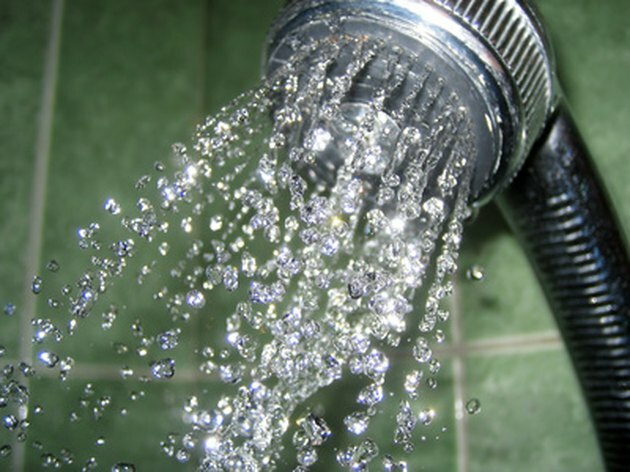 Rinse the shower doors with clear water to wash off the cleaning solution. Dry the shower doors with a clean, dry towel to prevent water spots and streaks from developing on the acrylic surface.